How Do Outdoor Garden Pumps Work? Outdoor garden pumps aren't complicated devices. No, used to animate drab water features, the simple but capable pumps perform their pond aerating duties remarkably well, even though they're petite and endowed with a handful of moving parts. How do outdoor garden pumps work though? Well, it's an electrically powered device, so those powered components are encased in a sealed housing. Beyond that unibody housing, however, we see magnetic fields interacting. A coil of wire (stator) is connected to the electrical supply. As the power flows through the supply cable, the cylindrical core (rotor) spins because of what's known as the mutual inductance effect. Simply put, the two magnetic fields interact, and that interplay induces rotational movement. At the end of the internal drive shaft, an impeller rotates. This impeller is surrounded by specially shaped blades or vanes, which create positive displacement. The key here is to know where an outdoor garden pump works best. If the housing and its spinning electrical components are locked inside a sealed casing, one that's bereft of mounts, then this is a submersible appliance. Check its specs plate to confirm this opinion. There are also external pond pumps and variants that work best on loftier garden features, including fountains and pond waterfalls. In shopping for one of these products, do make sure the shortlisted pumping candidates have a high enough litre-per-hour flow rate and a suitably high maximum head height. How Does The Pumping Cycle Operate? On garden pumps, ones designed to provide high flow rates, the strong discharge travels through a series of small-diameter tubes, where it shoots out as a widening plume. Again, the max. Head rating, measured in metres, needs to be high enough to produce this effect. From here, garden fountains and pond pumps send their watery loads coursing downwards, where they're collected in a hidden basin or reservoir. The submersible pump could be in the basin, or a suction pipe could be in there, waiting to pump the reservoir water back to a buzzing external garden pump. 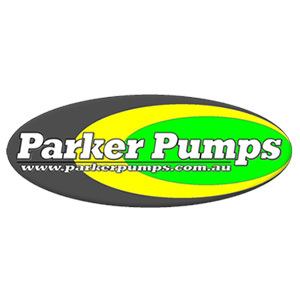 Outdoor garden pumps are weatherproof and, in submerged models especially, entirely waterproof. They oxygenate the water and filter pond scum. By the way, those submersible models are quiet and easy to cool. Powered by mutual inductance, by stator and rotor magnetic fields and a rotating drive shaft, the compact impeller spins at great speed. And, if the pump housing is equipped with enough horsepower, due to added windings and magnetic poles, then it gains flow "head," a feature that provides enough watery force to realize an attractive fountaining effect.